Cradle Of Filth have canceled the first four shows of their "Inquisitional Tourture" North American headlining tour due to U.S. visa issues. 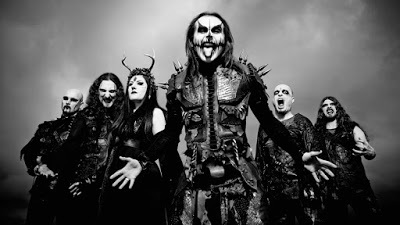 Band's frontman Dani Filth said: "With a massively heavy heart, Cradle Of Filth have to announce the cancellation (for now at least) of our first four shows in the U.S, because of a visa issue with the American embassy. We are doing everything in our power to rectify this situation as fast as possible. 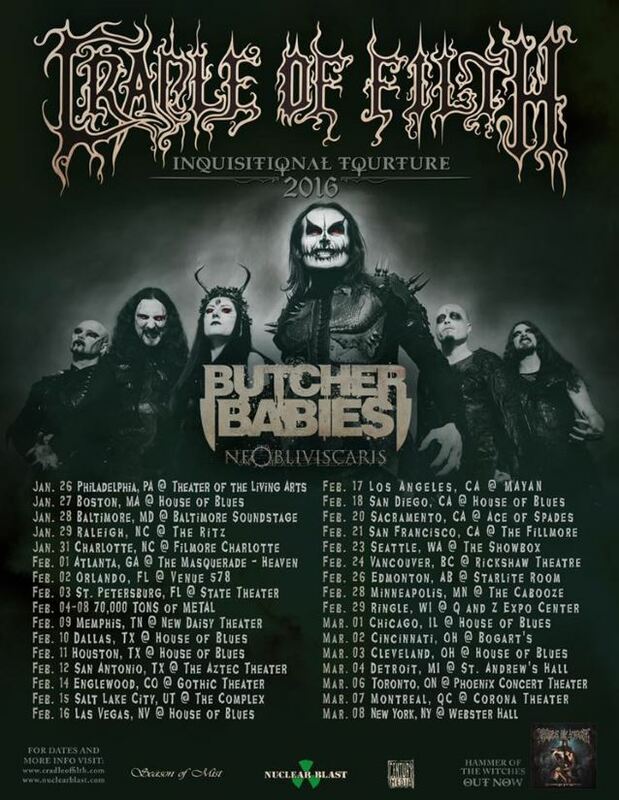 It is an nightmarish situation for all and we can only apologize for all those fans who have bought tickets. Thank you for your understanding and please be assured we are doing everything we can to be with you as soon as is humanly possible and that should be 31st January in Charlotte, North Carolina. We look forward to seeing you then. For refunds, please contact your point of purchase. We apologize for any inconvenience caused."